When you’re looking for a good plumber there’s one thing you want above all else: experience. In plumbing, as in any field, experience translates to expertise. If you want the best plumbing service, you want to look for the people who have been doing it the longest. At B. Garber Plumbing, that’s exactly what you’ll get. Family-owned B. Garber Plumbing, Inc. has a long history of bringing San Diego County the best plumbing service around. For over fifty years we have specialized in providing a variety of high quality plumbing services to homeowners and businesses throughout the San Diego area. B. Garber Plumbing began doing business in 1948. The company is now run by Steven E. Garber, with over thirty years of experience in the plumbing business, as well as a BA in Biology, which gives him strong critical thinking, problem solving, and communication skills. B. Garber Plumbing isn’t limited to just central San Diego, where our office is located. We are ready and able to serve clients from all over San Diego county. Our previous satisfied clients can be found in all corners of the county, from Greenfield Village, Otay Mesa in the South to the Hyatt at Aviara, La Costa in the North as well as our clients in the East including El Cajon, Bonita and Jamul. What’s more, we don’t just serve residential clients. We also serve business and commercial clients all over San Diego county. Our current clients include hotels such as The Lodge at Torrey Pines, Estancia, Hilton Bay Front and The Catamaran, and numerous other business clients throughout the San Diego area. Additionally, we are proud to have provided quality plumbing services to numerous condominiums and and homeowners’ associations over the years, ranging from Arioso, and Electra, to Rancho Valencia and The Santaluz Club. We provide our clients with a wide variety of plumbing services, including installation and repair of fixtures and faucets, sewer work, gas and more. We work with you during your remodel or new construction projects, as well as conducting plumbing inspections. 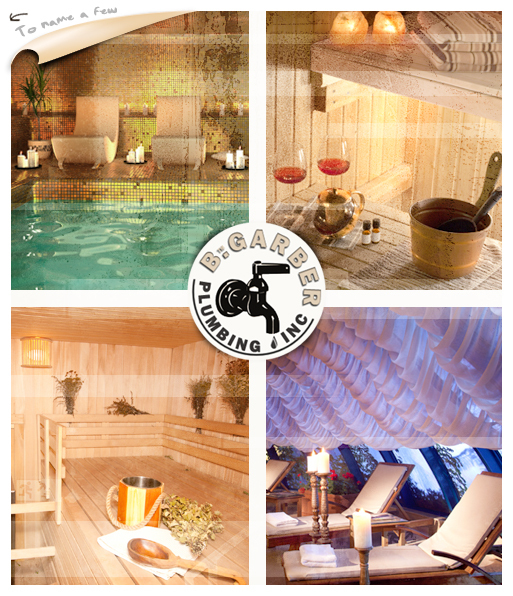 We keep up on the latest environmentally friendly, “green” technologies such as tankless water heaters, waterless unrinals and more., We pride ourselves over thirty years of installation and repair of saunas, and steam rooms. We are happy to have been able to provide quality plumbing service to all of San Diego County for the past five decades, and look forward to meeting all of your plumbing needs well into the future. Contact us today!